Would you or someone you know enjoy a buddy to call and “check in” with every once in a while? With Let's Talk, you will be matched with a friend who would love a phone call just like you! So it doesn’t matter how far away you live, or how cold it is outside, you can enjoy the warmth of camaraderie just by dialing a number!! 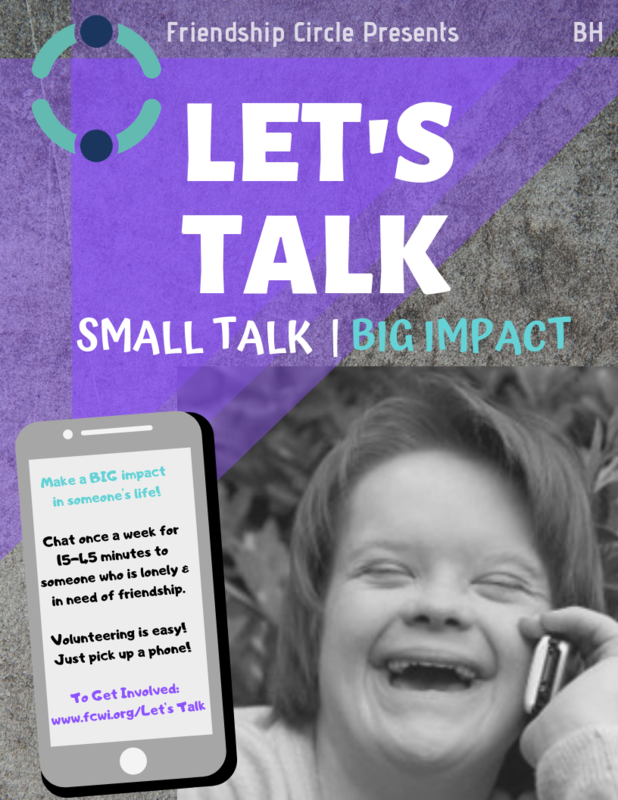 Click here to sign up for Let's Talk to volunteer or to chat with a friend!